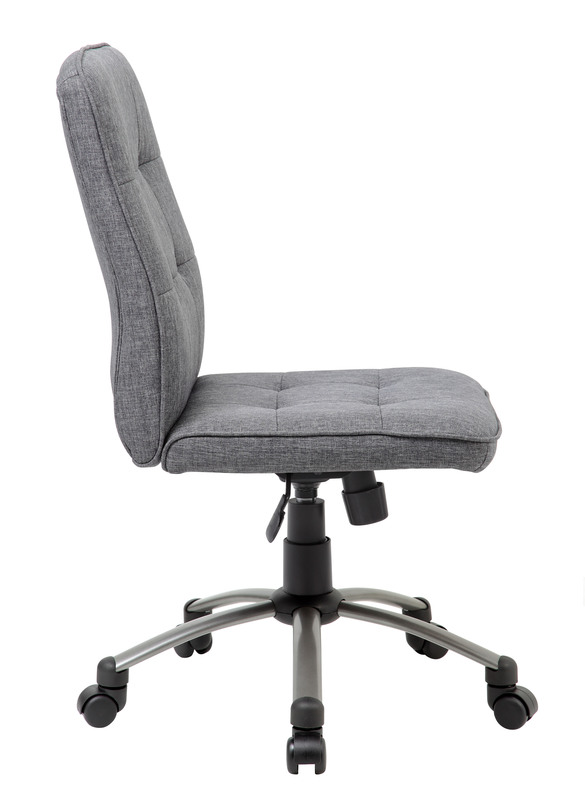 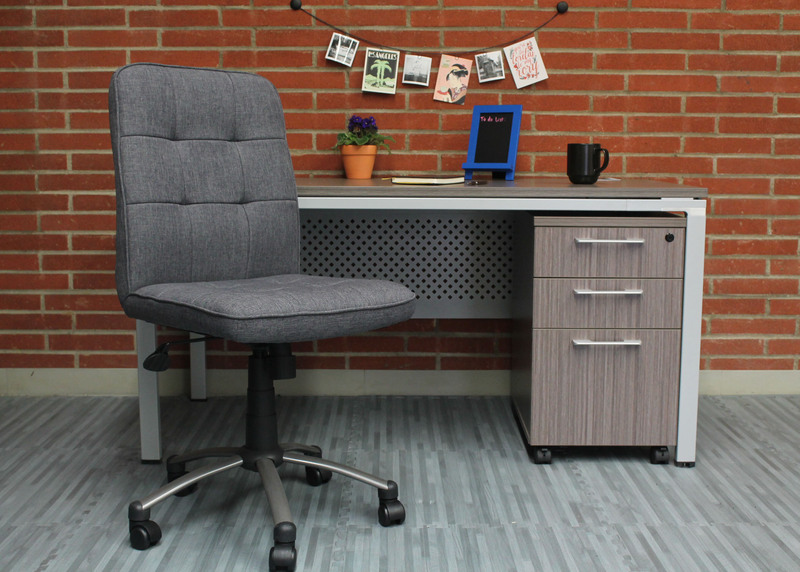 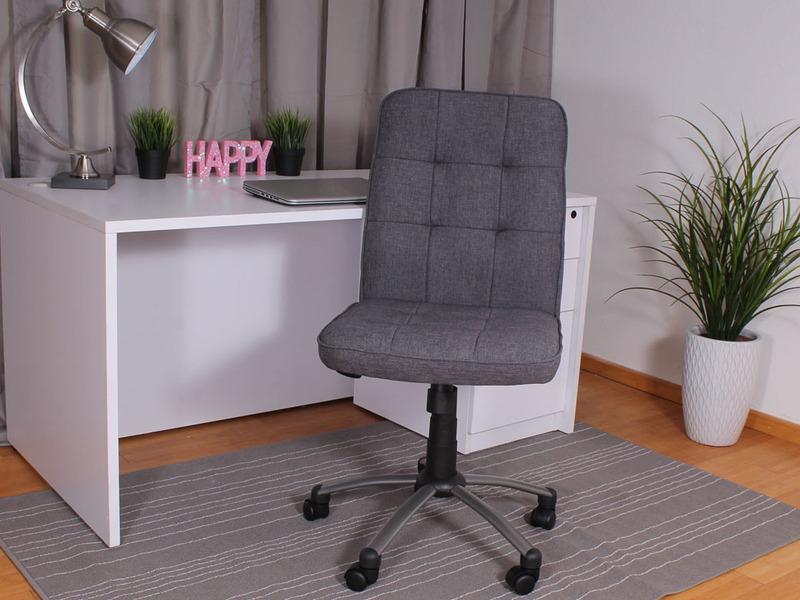 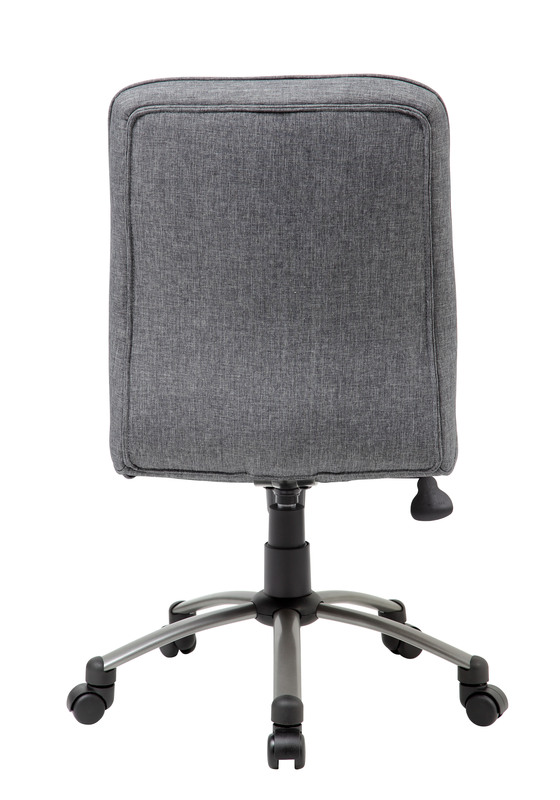 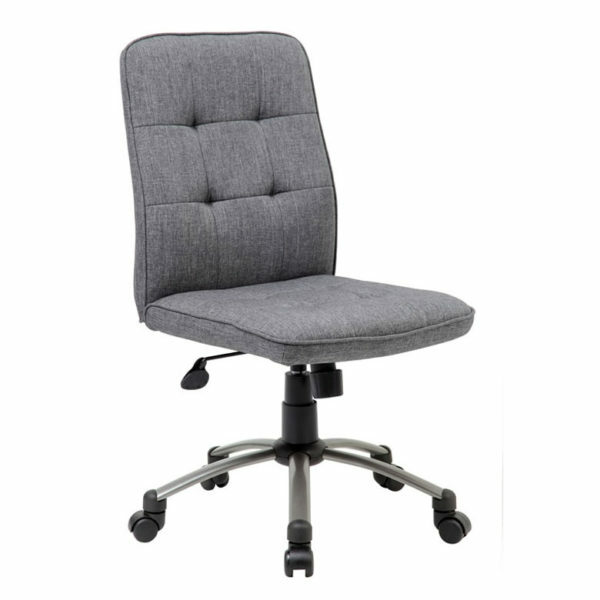 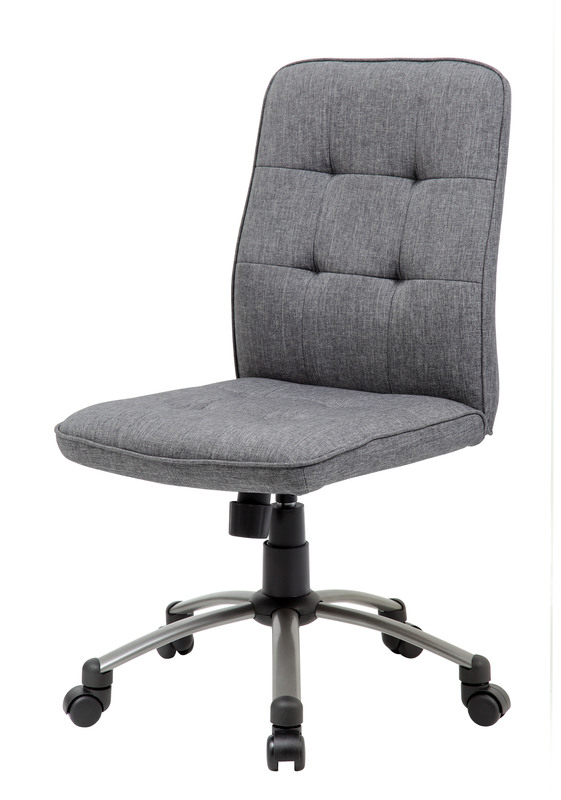 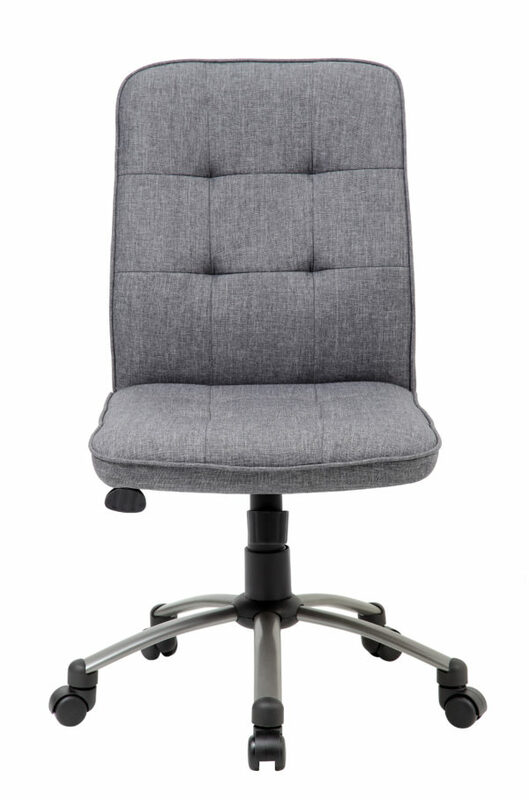 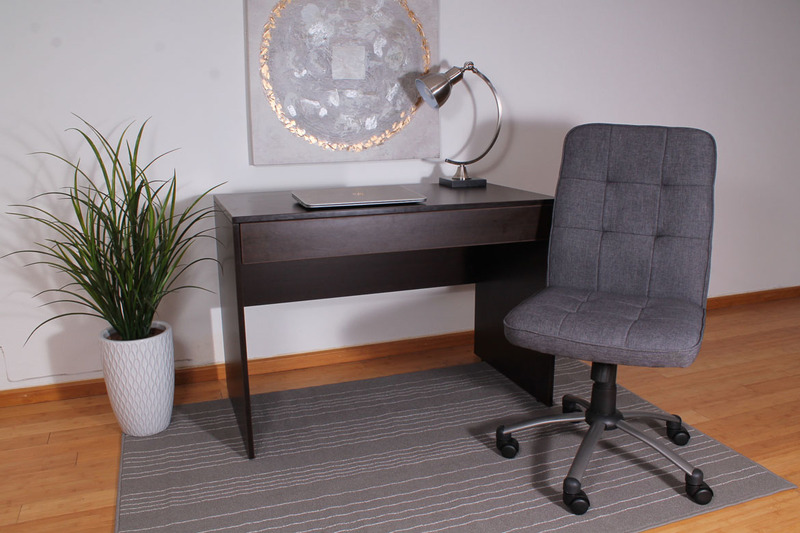 The modern office chair in slate gray is made with commercial grade linen and features a 27 inch chair base that is designed with fancy high crown chrome and has 2 inch nylon dual wheel castors for smooth rolling. The chair has a 275 lbs. 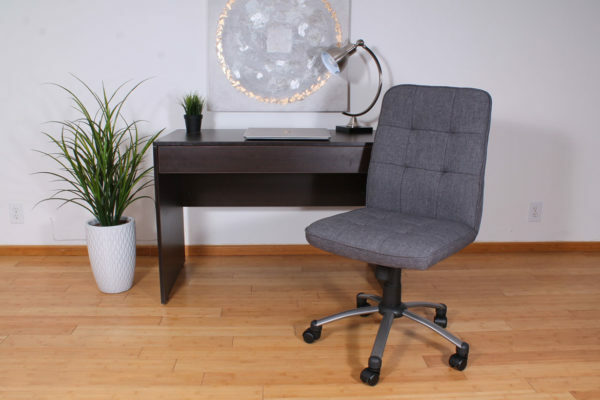 weight limit and provides a pneumatic gas lift mechanism for adjustable height options, making this great for most any desk or drafting table. 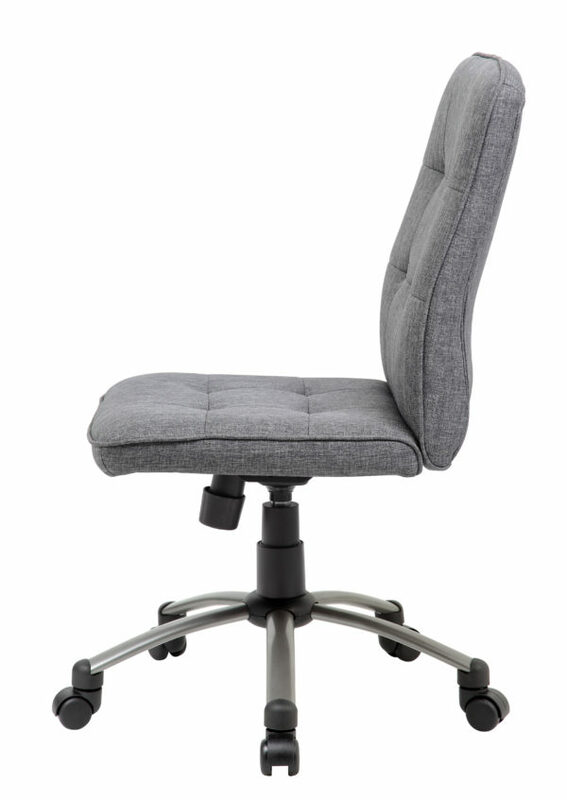 In addition to the adjustable height the chair also offers tilt tension, Spring Tilt and an upright lock.